Ah, the smell of a freshly cut rose or a small porch herb garden! Aromas take our minds to places of bliss. A scent can invoke a sweet memory, like grandma's vanilla cake or grandpa's smoky pipe. 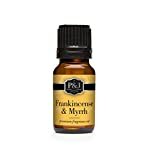 Perfume companies have been using fragrance oils for centuries; incense manufacturers have also known the secret of powerful fragrance oils for thousands of years. Today, the use of fragrance oils is growing more and more popular. Also, the use of essential oils for medical reasons has become the latest craze. We reviewed 10 popular fragrance oils to see how they compare. Knowing a little about an oil before you purchase it will help avoid buyer's remorse. 1. What Are Fragrance Oils? 2. What Do Fragrance Oils Do? 3. Are There Different Kinds (Grades) of Fragrance Oils? 4. Is There a Difference Between Essential and Fragrance Oils? Fragrance Oils are just that: oils that give off a certain aroma. The aroma in certain oils may cause different side effects. There are three main grades of these oils: premium grade, manufacturer’s grade and body oils. Premium-grade oils are skin-safe and are often used for soaps, bath salts, face scrubs and lotions. Premium-grade oils are very fragrant, requiring less oil for scenting and are common in candle-making. Manufacturer's grade oils can be used like premium oils but should not be applied directly to the skin. They are, however, safe if blended with other high grade oil. Manufacturer's grade cannot be used in making soy candles. Body oils are not intended to be used in creating bath and body products and candles. If used sparingly, they can be used for some skin products, such as perfumes. You do not want to use a body oil grade if you are going to be soaking in a tub or rubbing the lotion on your whole body. A spray here or there is perfectly fine. When buying these oils you want to make sure you are buying the best quality. Using synthetics is not as horrific as it may sound. Reducing your exposure to synthetics may be a good idea, but, in reality, you are in constant contact with them. Most likely the bed you sleep in and the clothes you wear have some synthetic components. Synthetics are hard to avoid in today's world, but reducing exposure is possible. Make choices suitable for you. There is a huge difference between these, and it is important that you know what they are. Essential oils are made of up all natural substances. They are extracted from different parts of a plant, such as flowers, leaves, stems or roots. These oils are pure extractions that are obtained through the process of steam distillation or solve extractions. A high-quality essential oil is 100% pure, meaning they have not been processed or diluted. A true essential oil should not have added carrier oils, alcohol or additional solutions to water down or cheapen the oil. Depending on the plant's abundance and sensitive growing conditions, an essential oil can be moderately-priced to very expensive. Fragrance oils are manufactured using a combination of ingredients that are not always 100% natural. "Natural" is a term used in marketing that can be confusing, but in this case we mean they are not derived from nature. There are fragrance oils that contain a small percentage of essential oils. The essential oil will give the fragrance oils a strong scent, but once the oil is exposed to the air, it will not last long. An essential oil is volatile, meaning they evaporate into the air. Fragrance oils are non-volatile;they keep the scent longer. Note: adding inexpensive oils or solvents to essential oils will help keep the costs down and keep the aromas up. The durability and low costs of fragrance oils makes it the perfect choice for crafters. Fragrant oils should never be used for aromatherapy. Inhaling the vapors over long periods of time can be harmful to the respiratory system. These oils should only be used as the name suggests - as a fragrance. All fragrance oils are technically a blend. Some will only use a carrier oil and an essential oil, making the scent closest to its true form. However, other companies may add a combination of aromas, giving the original scent a little twist. This is very common in making shampoos, lotions and bath products. An array of aromas pleases the nose and can invoke many moods. We looked at some fragrance oils, their purity and their prices to help you get a better idea of what is available. The cost per ounce of fragrance oil varies; it starts at $ per ounce. The aromas of gardenia are grand. A walk by a gardenia bush, will lift your spirits immediately. The scents of gardenia are stimulating, and some might say addicting. Essential oils are derived using the flower buds. Because gardenia has a distinguishable scent, most gardenia fragrance oils on the market contain the gardenia essential oil. This oil is ideal for creating floral soaps or perfumes. You can purchase gardenia fragrance oils for around $ an ounce. This exotically-fragrant member of the mint family is best known for its popularity in the 1960s. When a person smells patchouli, they may think of hippies and flower children. Users consider it a scent of peace and harmony. Smelling patchouli brings calmness to the spirit since the aroma is woodsy with hints of musk. It is mostly used in incense, soaps and perfumes. You can purchase patchouli for as low as $ an ounce to up to $ an ounce. The grapefruit is actually an accidental blend of the sweet orange tree and shaddock. The tree bears a citrus fruit with a semi-sweet but often sour taste. The aromas of the grapefruit are fruity and clean. A grapefruit essential oil is derived from the peels of the citrus. The trees grow abundantly in many parts of the world, making it an inexpensive and common oil. Grapefruit fragrance oils may contain the grapefruit essential oil but is blended with other fruit or floral scents. It is mostly used in soaps, candles and skin and hair care. You can purchase grapefruit for around $ an ounce. Essential oils and fragrance oils derived from the cedarwood tree will invoke the scents of a forest. Cedar is a coniferous tree from the pine family. There are various types of cedar. Some trees are native to the mountains of the Himalayans and Mediterranean areas. Others, like the red cedar, are native to eastern North America. Most oils on the market are derived from red cedarwood. If a fragrance oil has real red cedar essential oils in the mix, the color of the oil will have rich red hues. This is important to the crafter as any product made with this oil, such as a candle, will have hints of these tones in the final product. it is one of the best choices for use in men's products. If your guy is an outdoorsman, cedarwood will bring his mind back to the campfires and fishing cabins. 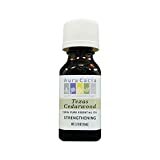 You can purchase Cedarwood fragrance oils for around $ an ounce. Thyme is aromatic and has a pleasant, pungent clover flavor. There are over fifty varieties of thyme that grow all over the world. Thyme has traditionally been used in medicines and cooking. The leaves of the thyme plant hold strong aromas. Just rub the leaf of the thyme plant, and you have unlocked the herbal bouquet. It is commonly used in kitchen products, soaps and candles to bring in the scent of a fresh herbal garden. You can purchase thyme for around $ an ounce. Myrrh is a sap-like substance (resin) that comes out of cuts in the bark of trees that are members of the Commiphora species. It is difficult to gain and was once considered to be as valuable as gold. They used it in Biblical times for burials of religious ceremonies for the rich and powerful. The aroma is woodsy and balsamic. Lavender's small purple flowers bring a sense of calmness. The plant has over 45 species and grown worldwide. Its history dates back thousands of years. Men and Women were known to add lavender to the baths to calm the body, mind and spirit. Lavender is one of the most popular fragrances used today. You will find it in just about every aromatic product on the shelves. The scent is crisp, clean and calming. It is used in sachets, candles, soaps shampoos, baby lotions cleaning agents, etc. You can purchase lavender for around $ an ounce. Vanilla is actually a spice that comes from the plant pods. Madagascar supplies 80-85% of the world’s natural vanilla. It is a difficult crop to grow. A vine takes three to four years to mature. Nine months later, the green beans must be hand-picked to optimize their vanillin content. A hundred hand-pollinated blossoms yield about 35 ounces of green beans, which convert to one ounce of dried beans. Weather can add to the difficulty of getting the vanilla bean. All these factors make vanilla extremely expensive. Because of this, vanilla-scented products are created using the fragrance oils. It is used in many soaps and lotions. You can purchase vanilla for about $ an ounce. Sandalwood is a Southeast Asia tree of the pea family This species may have been the source of the sandalwood used in King Solomon’s temple. They get the aromatic oils from the bark and the roots of the Sandalwood tree using steam distillation. The wood is often used to create ornamental boxes, furniture and ceiling fans because of the long lasting aromas. This slightly-yellow oil is used in perfumes, soaps, candles and incense. You can purchase sandalwood for around $ an ounce. Rose is a woody, perennial flowering plant mostly known for its beauty and aromas. There are over 300 species of roses, and most are native to Asia. The scent is associated with luxury and elegance. A pure essential rose oil is very expensive because it takes 60,000 roses to make an ounce of oil. Purer rose oil is very hard to find since cultivating the oil is difficult and costly. A rose fragrance oil is an economical way to produce the intoxicating aroma without the high cost. It is primarily used in perfumes and bath and beauty products. You can purchase rose for about $ an ounce. Fragrance oils are chemically-scented liquids. Some contain small amounts of essential oils. Skincare products, soaps and candles often use fragrance oils because they are cheaper, but fragrance oils used as substitutes can be problematic. The synthetic compounds can cause respiratory problems including sneezing, wheezing and coughing. Many people even experience headaches when exposed; the compounds can also disturb the skin, causing dryness and irritation. These oils are an inexpensive solution for crafters and add fabulous aromas to many household products.. However, due to the unlimited ingredients one can add to a fragrance oil, it is difficult to determine what is best. Many companies will not even list what is in their fragrance oils, leaving us puzzled. The best bet, according to us, is to go all natural and use pure essential oils.